Search Results for "amber fort"
JAIPUR, INDIA - CIRCA MAY 2014: People visit Amber Fort. 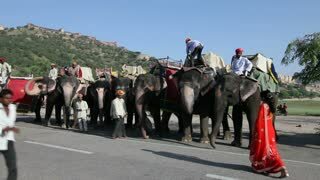 It is the principal tourist attractions in the Jaipur area, located high on a hill. Amer Fort was built by Raja Man Singh I. A view of the Jaigarh fort from the Amber fort. JAIPUR, INDIA - CIRCA MAY 2014: View from the walls of Amber Fort. It is the principal tourist attractions in the Jaipur area, located high on a hill. 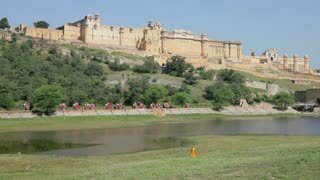 Amer Fort was built by Raja Man Singh I. A view inside the Amber Fort in Rajasthan, India near Jaipur. 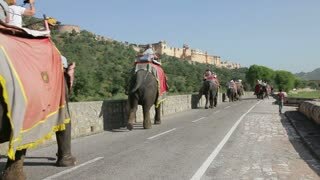 Tourists ride to the Amber fort in Amer, India in Rajasthan.